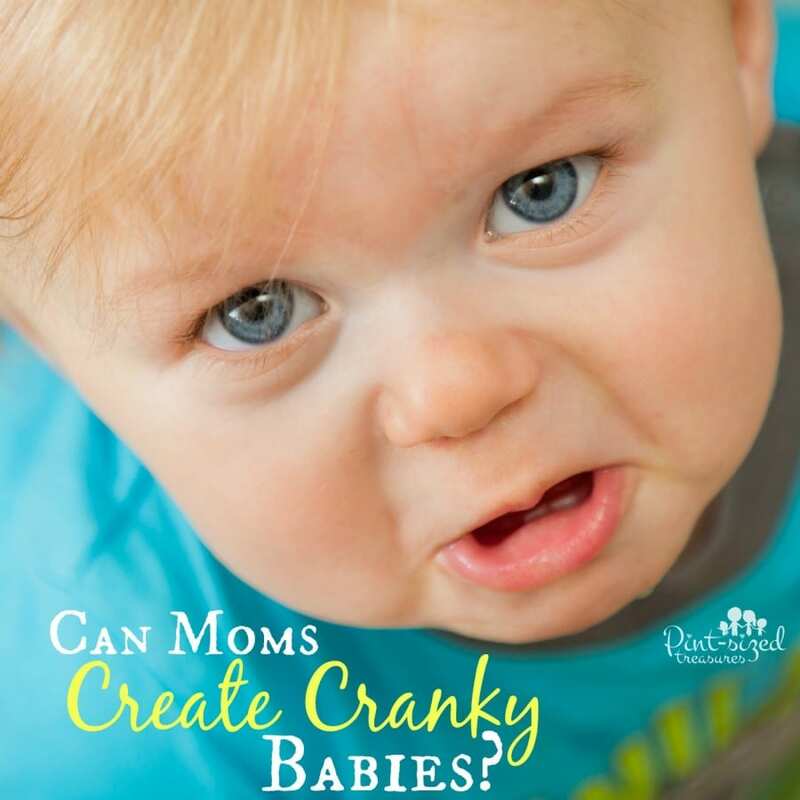 Home › Parenting › Can Moms Create Cranky Babies? Can Moms Create Cranky Babies? If you’re constantly serenaded by demanding (not painful) cries — we’re talking morning, noon and night — I can totally relate. You see, I had a cranky baby. In fact, I’d love to share with you how I created a cranky baby — but learned from my mistakes. Before I realized that my mothering style was costing me sleepless nights, unpredictable days, stressful shopping trips and dark circles under my eyes, I wondered if the “cranky baby” stage would ever end. I assumed all babies were cranky like mine. I was very young when I had my first child and ill-prepared for motherhood. I thought I was doing everything right when I would jump the tallest building to come to the rescue of the tiniest whimper of my beautiful, bundle of joy. Maybe your baby is cranky, but mine surely seem to top the crankiest of them! He cried in the morning. He cried in the day. He cried at night. In fact, it is hard for me to recall times he wasn’t crying. Ok, now I remember. He wasn’t crying when he was snoozing or eating. Now, I do know that there are babies with health, and colic issues. I’m not talking about those painful screams that are coming from a baby who cannot communicate pain and discomfort in words. I have seen close friends struggle in that area until they were able to find the correct infant formula, gas drops or natural remedies to cure the pain. And if you’re in that situation, my heart goes out to you! But, once infants have passed the “colic” zone of three or four months and are habitually discontent, it may help to re-evalute your mothering style. In fact, it may change your mothering style for good — at least it did mine! Ask yourself these “cranky baby” questions — and if you’re really wanting some help with your cranky baby, you need to be honest. Really. I’m finding that honesty among moms is rare these days. But, let’s make a new trend and start today with being honest with ourselves! Anyway, back to the cranky baby test! Are you unable to take him on outings because of his behavior? Have people labeled your baby “the screaming baby”? Is your baby crying if he is not in a snugli, being held, being rocked or eating? If your honest answers to most of these questions is yes, you may have a cranky baby on your hands. Ok, so your baby won the title of “cranky baby.” Now what? One simple word may help you mold a happier baby — almost immediately! Yep. That one word totally changed my mothering style and helped me create five more happy babies — it worked with all six of my babies, and it can work for yours too! Now routines are not for careless, unintentional people. No, to begin a routine you have to be consistent and dedicated. I’ve got an amazing resource for you that’s waaaaay more in depth than any blog post would be! It as sample routines for babies ages six weeks to five years old. It has loads of printables to keep you on track and it’s written by two, amazing, well-experienced moms. I’ve read it. Loved it. And I really, really wish someone had given me this book 14 years ago when sleep was only a distant memory. 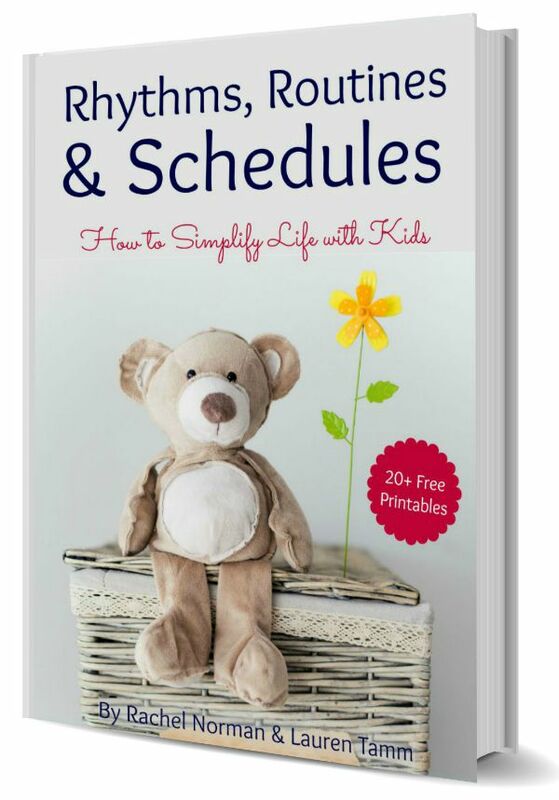 16 chapters of easy to implement routines, rhythms and schedules from birth through school-aged kids to help you streamline day-to-day life with kids. In chapter one you’ll get sample schedules for all ages listed above. In chapter two you’ll get tips for managing the day with multiple children, tips for keeping kids busy and printables. Chapter three includes 20 printable routines, rhythms and schedules so you can easily start applying what you’ve learned! 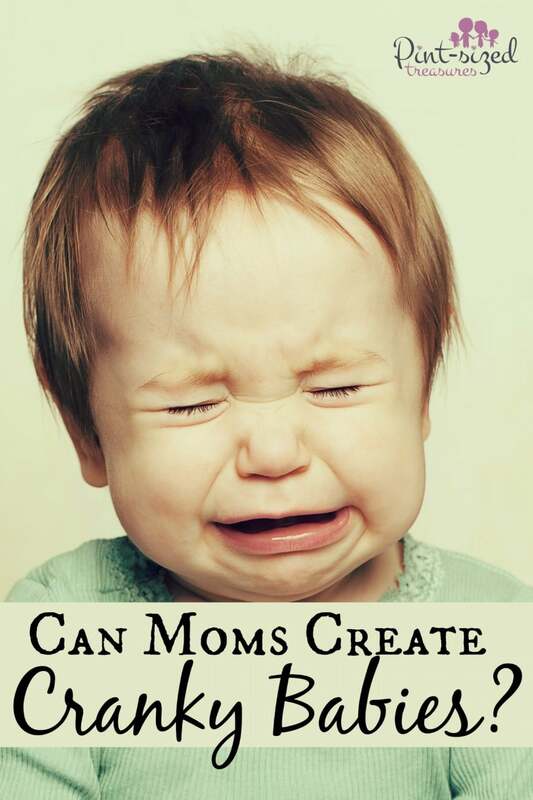 Oh, and to the answer the question: can moms create cranky babies? My opinion is yes. What’s yours? Let’s chat about it on Facebook! *Affiliate links have been added to help you create a routine for your child!